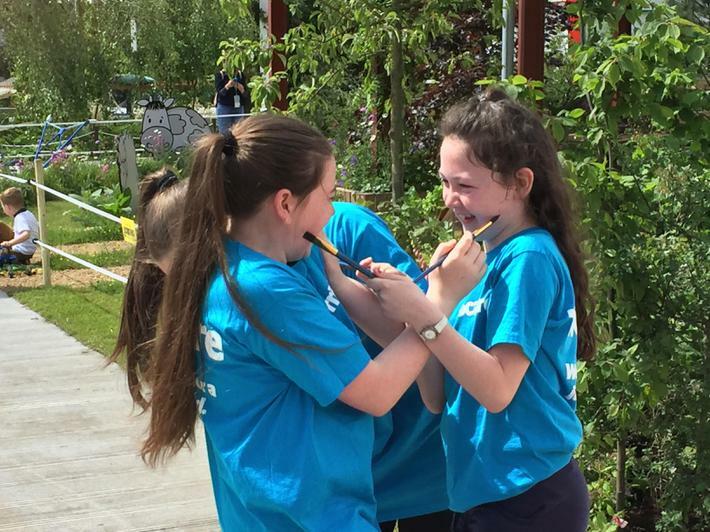 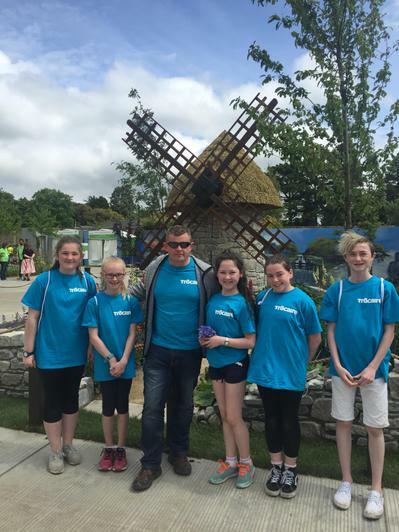 Five sixth class pupils travelled to the Bloom Festival in the Phoenix Park on Wednesday 31st of May. 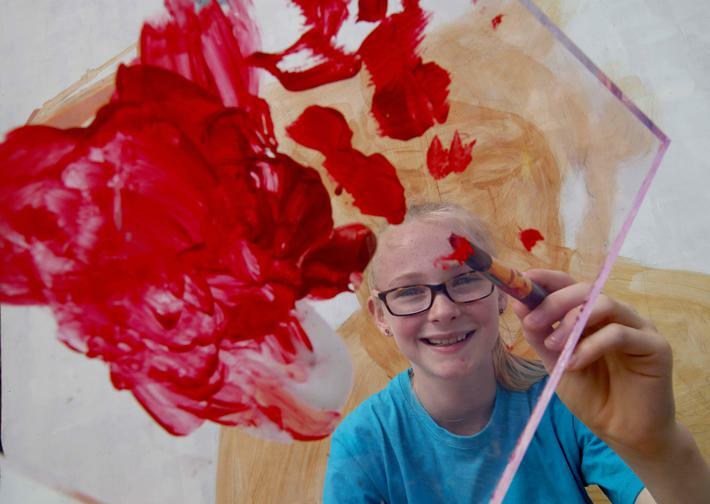 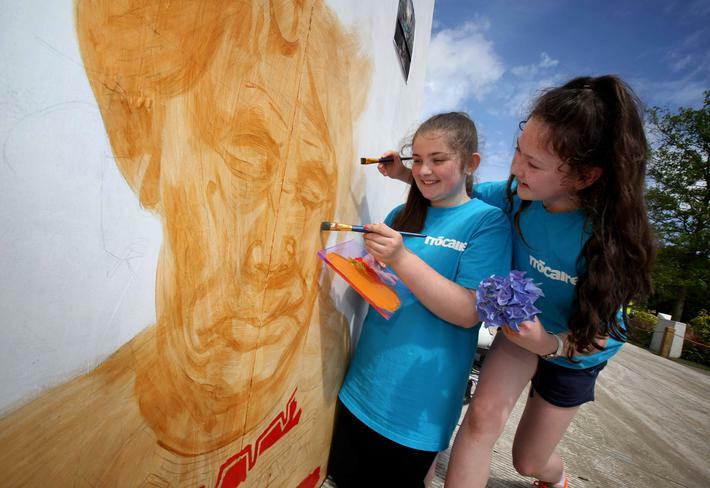 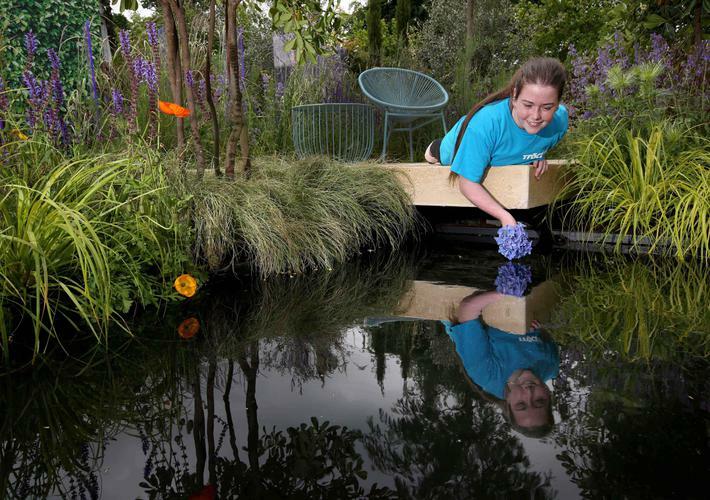 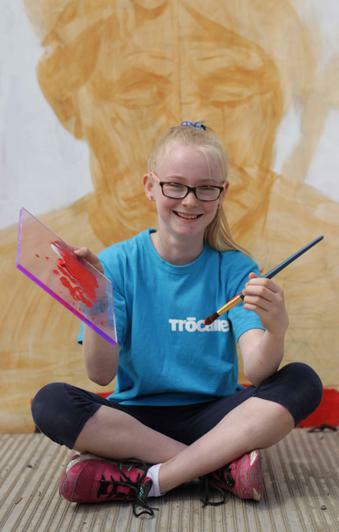 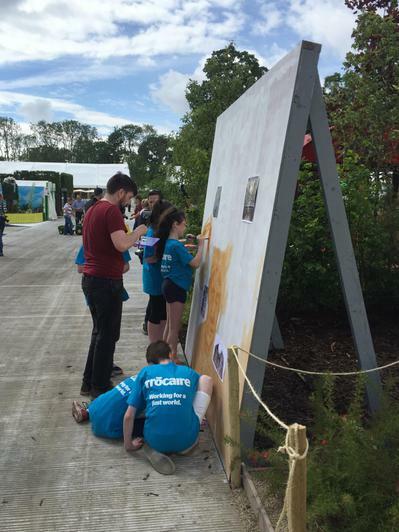 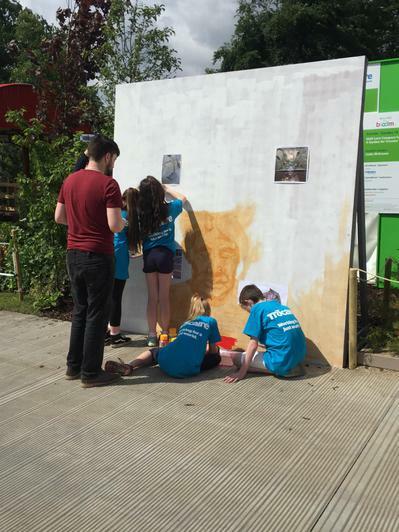 They were invited by Trocaire to paint in their show garden which highlights its work with communities fighting for their land rights in Central America. 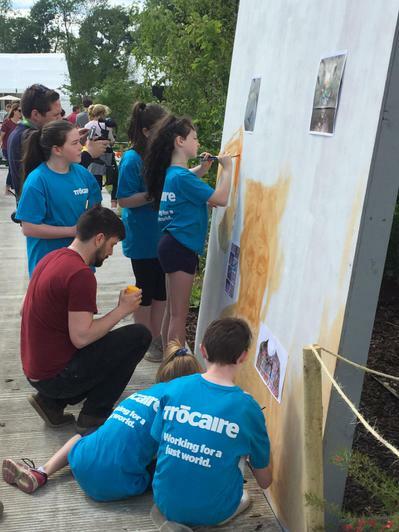 The children were there to start a mural on the same theme.